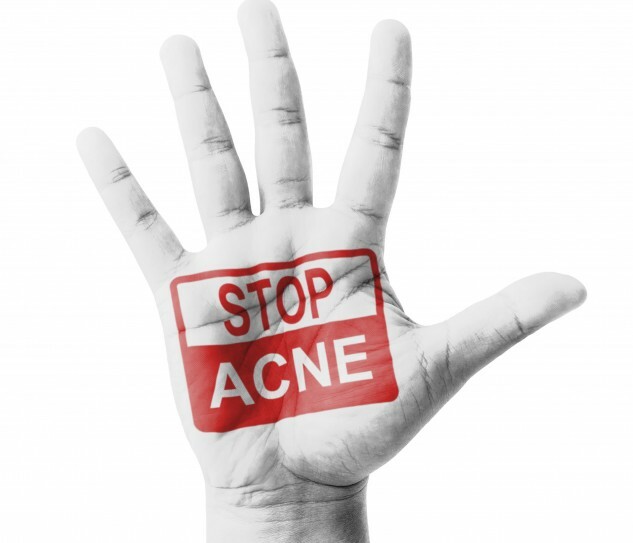 Acne can leave behind embarrassing dark spots that discourages you from living life. Though bad skin can be treated with anti-inflammatory or antibacterial products, traces of blemishes might be harder to fight. However, these 4 remedies can help remove evidence of imperfections and get you back into the social scene. Elements made from Earth can provide an alternative way to bring skin back to its natural beauty, without harsh chemicals or cosmetic procedures. With a few simple ingredients and dedication, you’ll see acne spots vanish in a few months – and your activities calendar fill up in minutes. Raw Tomatoes – This plump fruit is rich in vitamin A, which helps promote skin turnover when applied topically. Mash the pulp of a tomato and spread it over the affected area, like a facial mask. Allow the purée to heal your scars for approximately an hour and wash it off with warm water. Apple Cider Vinegar – This natural astringent also works as an acne scar treatment when applied to the skin. Not only does it dub as a disinfectant, it balances the pH level of your skin, and contains malic and lactic acid, which helps the skin shed. To create a mask, mix 2 tablespoons of apple cider vinegar, 2/3 cup of water, and 1 to 2 teaspoons of honey. Dip a cotton ball in the solution and apply it to your acne spots. Leave the mixture on for 30 minutes and rinse with warm water. Aloe Vera – The soothing potential of fresh aloe vera can help heal and fade scars thanks to its vitamins A, C, and E, which are antioxidants, along with vitamin B12, folic acid and choline. It is gentle on skin and serves as a natural moisturizer, leaving you feeling silky and rejuvenated. Fresh organic aloe is best for fighting marks and finding potted plants is very easy. It also requires little to no maintenance for survival, so you can always have some handy. To use, break off a small piece of a leaf and peel away the outer flesh to access the gel. Massage the gel gently on your dark spots and allow the skin to soak it in for 30 minutes. If the natural route doesn’t provide true results, skin bleaching creams are also effective in removing discoloration caused by acne. People with lighter skin tend to experience pink, red or purple blemish scarring, while darker skin tones experience black or brown scar tissue. Although the skin will try to heal itself naturally, scarring will not fade completely and bleaching creams can help reduce the excess pigmentation. This topical product varies based on your specific needs and is only available by prescription. A physician will monitor your progress and adjust the treatment as needed. Skin bleaching creams require daily application and don’t provide a quick fix, however. You can expect to see results anywhere between 3 to 6 months. The lightening properties in the creams make your skin sensitive to sun exposure. The best option is to stay out of the sun as much as possible and protect exposed areas with sunscreen. Not taking proper measures can revert the toning progress on your scars. Though they sound synonymous, dermabrasion and microdermabrasion are used for different purposes in battling acne spots. Dermabrasion – With dermabrasion, a dermatologist or cosmetic surgeon uses a special instrument to sand your skin. By removing dead cells, it makes way for a new and smoother top layer of skin, replacing the treated areas. This cosmetic procedure improves acne scars along with pox marks, and scars from accidents or diseases. It’s effective and safe for people with fair skin as those with darker skin can end up with scarring or discoloration. After the procedure, your skin will feel “brush burned”, but can be relieved with medication. Healing takes place between 7 to 10 days. New skin appears pinkish at first but will soon begin to normalize by 6 to 8 weeks. Microdermabrasion – With microdermabrasion, tiny exfoliating crystals are sprayed on the skin to help with subtle changes such as removing dull skin, brown spots or age spots. It is not effective for larger problems areas such as deep acne scars. Unlike dermabrasion, this treatment is suitable for all skin types and tones. After the procedure, your skin will feel dry and appear pinkish (like a sunburn), but will recover within 24 hours. This procedure is ideal for people who cannot take too much time off from work to heal. Laser scar treatment is an FDA-approved procedure to remove or reduce acne scars on any area of the body. Pulsed dye laser (PDL) helps reduce the itch and pain associated with acne along with diminishing stains and flattening bumpy scars. For patients with lighter skin, intense pulsed light (IPD) may also be a treatment option. This treatment uses short pulses of micro-fine laser light to reach the skin’s deep layers. The body will turn over the damaged tissue into fresh, smoother skin. This procedure is ideal for people with little to no downtime and is non-invasive.